Sun., September 9, 2018 4:30 p.m. | Sunday, September 9, 2018 4:30 p.m.
Hand written notes and memorabilia are left at the temporary Flight 93 national memorial on May 10, 2006. The 40 passengers and crew members who boarded United Airlines Flight 93 on the morning of Sept. 11, 2001, came from all walks of life. They ranged in age from 20 to 79. College students, retirees, business travelers, parents, spouses, sons and daughters, their intention was to fly from Newark International Airport in New Jersey to San Francisco International Airport in California. All died as terrorists took over the cockpit, wresting control of the Boeing 757. It crashed to the ground near Shanksville in Somerset County. Authorities believe the passengers and crew died preventing hijackers from crashing the jet into a target in the nation’s capital. Flight 93 was among four jetliners hijacked that morning by terrorists. Held captive in the air, passengers and crew members made phone calls to family, learning of the earlier terrorist attacks in New York and outside Washington, D.C.
From those phone calls, investigators determined the 40 strangers banded together and tried to formulate a plan. Their actions are believed to have kept the aircraft from striking its intended target. In 2014, Congress bestowed its highest civilian award, the Congressional Gold Medal, upon those who lost their lives in the Sept. 11 attacks. This medal is Congress’ highest expression of national appreciation. A medal was awarded in tribute of each of the three sites. On Sept. 11, Christian Adams was en route to San Francisco to promote German wines at an annual trade show. Holding degrees in the cultivation of grapes, wine making and marketing from universities in Germany and the University of California, Adams was a highly regarded figure in the wine industry. A colleague recalled Adams’ thoughtful manner and wonderful sense of humor. He was survived by his wife and two children. 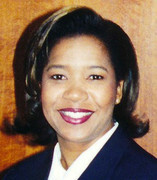 With 37 years of service, Lorraine G. Bay was one of United Airlines’ most senior flight attendants. 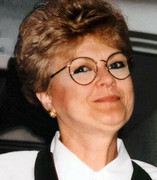 She took pride in her work, enjoyed connecting with passengers of all ages and preferred working coach over first class. 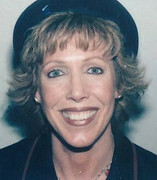 She mentored younger flight attendants and never failed to remember coworkers and family with special cards and unique gifts. 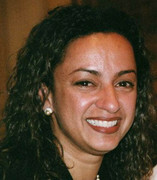 Her husband of 22 years remembers her as a loving person with a beautiful smile. 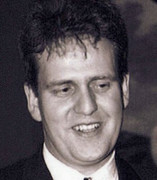 Todd M. Beamer, a graduate of Wheaton College with an MBA from DePaul University, was a successful business executive, committed to his family and faith. He was a competitive athlete and an avid fan of Chicago sports teams. Beamer and his wife had just returned from a business reward trip to Italy. Though he worked long hours, he always found time for his two young sons. The couple was expecting their third child in January. 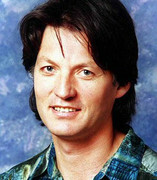 Alan Anthony Beaven practiced law in his native New Zealand, and in England, New York and California. He loved the ocean and found his niche in environmental litigation, prosecuting violators of the Clean Water Act. After completing a final case, Beaven, his wife and their young daughter were leaving for a year in India, where he planned to help solve pollution problems. Beaven also was survived by two sons. 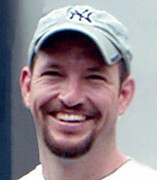 Mark Bingham was an adventure-loving public relations executive who traveled frequently for pleasure and business. The former rugby champion at the University of California at Berkley was a valued member of the San Francisco Fog, a gay rugby football club. 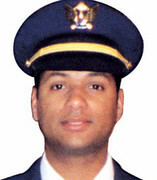 On Sept. 11 he was returning to San Francisco to be an usher in a friend’s wedding. Bingham was survived by his mother, father and stepmother. 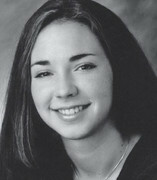 University student Deora Frances Bodley was the youngest person aboard Flight 93. She loved children and was studying French and psychology, aspiring to become a child psychologist. Bodley, remembered as introspective and independent, volunteered with a local animal shelter and tutored children in an after-school program. On Sept. 11, she was flying home from a visit with friends in New Jersey. Bodley was survived by her mother, father, stepmother and a sister. Sandy Waugh Bradshaw always wanted to be a flight attendant, the perfect career for someone who loved travel and meeting people. After 11 years of flying, she was taking only two trips per month, allowing more time at home with her two toddlers and teenage stepdaughter. Her family says she was strong-willed, meticulous and organized, with a plan for everything. “The first day I met her, I fell in love with her,” her husband says. 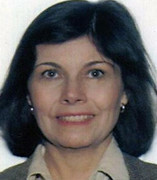 Marion R. Britton was traveling with coworker Waleska Martinez to a conference in San Francisco. In her 21 years with the U.S. Census Bureau, she had risen from the bottom to the top, developing a reputation for generosity, frankness and dedication to her job. 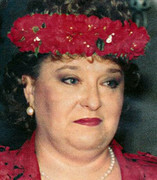 In 1993, Britton received the bureau’s highest award, the Bronze Medal. She loved to tell stories and held the family genealogy in her memory. Britton was survived by her siblings. Occupation: Senior vice president and chief operating officer, Thoratec Corp.
Thomas E. Burnett Jr. traveled frequently in his position with Thoratec, a manufacturer of heart pumps. 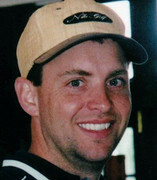 On Sept. 11, Burnett was returning home to his wife and three daughters in San Ramon, Calif. The graduate of the University of Minnesota with an MBA from Pepperdine University considered himself a Renaissance man. He enjoyed hunting, fishing and golfing, fine wines, cigars and travel. Burnett is remembered as bright, driven, principled and competitive. William Joseph Cashman was an ironworker who helped build the World Trade Center, a student of karate, an avid hiker and a former paratrooper in the Army. At night, he taught welding to union apprentices. 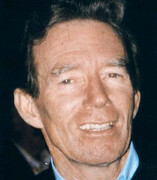 On Sept. 11, he was traveling with Patrick Joseph Driscoll to hike in Yosemite National Park. He was survived by his wife of 31 years who describes “Billy” as soft-spoken, principled and strong. Patricia Cushing and her friend and sister-in-law Jane Folger boarded Flight 93 for a San Francisco sightseeing vacation, a trip they had been planning for months. 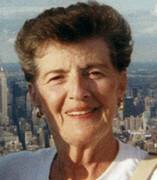 Cushing, a widowed mother of five, retired after 20 years as a service representative, freeing her to travel, including frequent excursions into New York City for cultural events and shopping. Her family describes her as a “classy lady” with a strong faith and a patient, soothing manner. Piloting jets was the realization of a lifelong dream for Jason M. Dahl. The California native earned his private pilot’s license at age 16. He graduated from San Jose State University with a degree in aeronautics operations. 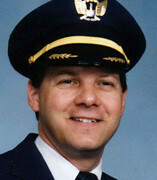 After 16 years with United Airlines, Dahl was a standards captain, training and evaluating pilots, a job that provided more time at home with his wife and his son from a previous marriage. 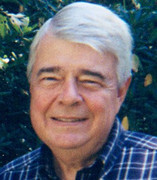 Joseph DeLuca is remembered for his sense of humor and enjoyed Monty Python jokes and concern for others. He created a cartoon featuring a sports car racing feline and was devoted to racing and restoring his Morgan Roadster. 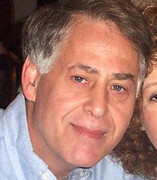 A graduate of Jersey City State College, DeLuca worked as a computer software designer for 23 years. DeLuca boarded Flight 93 with his girlfriend, Linda Gronlund. Both enjoyed sports car racing. He was survived by his parents and sister. Patrick Joseph Driscoll, the son of Irish immigrants, served in the Navy during the Korean War. 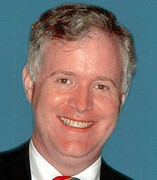 With degrees from New York University and Rutgers, Driscoll built a successful career in the emerging computer field. He and his wife were married for 42 years and raised four children. In retirement, he devoted himself to his church and community. He had made 10 trips to Ireland to explore his family’s roots. On Sept. 11, Driscoll and William Cashman were traveling to Yosemite National Park to go hiking. 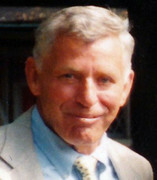 Edward Porter Felt held degrees from Colgate and Cornell Universities and was known as a problem solver and one of BEA’s most accomplished engineers. Felt held two patents in the field of encryption technology. He enjoyed the outdoors and kept fit by swimming laps and running. He was devoted to his wife and two daughters. On Sept. 11, he was en route to San Francisco on a last-minute business trip. Jane C. Folger was traveling with her sister-in-law and friend, Patricia Cushing, on a long-anticipated sightseeing trip to San Francisco. Strong and resilient, Folger raised six children, then lost a son in the Vietnam War and another son to AIDS. Jane knew and loved New York City, and since retiring, she traveled there weekly, introducing her six grandchildren to her favorite stores, theaters, museums and cultural events. 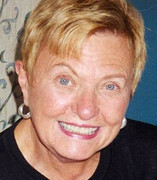 Colleen L. Fraser was a passionate and tireless advocate for people with disabilities and vice chair of the New Jersey Developmental Disabilities Council. 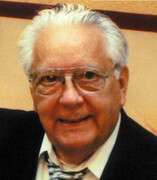 Fraser, who had a degree from Rutgers University, helped to draft the Americans with Disabilities Act. She relied on a cane and a mobility scooter and is remembered for her flare, her determination and for inspiring others. She was survived by her siblings. Occupation: Owner and president, Cinco Group Inc.
On Sept. 11, Andrew (Sonny) Garcia was returning home from a business meeting. Garcia and his wife owned an industrial products company. He had a loving relationship with his three children and is remembered for his deep faith and sense of humor. As a young man, he was fascinated with aviation, earned a degree from San Jose State University and trained as an air traffic controller with the California Air National Guard. 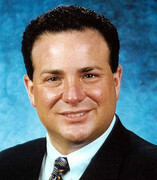 Occupation: Sales manager, Vividence Inc.
On Sept. 11, Jeremy Logan Glick reluctantly left home on a business trip. He cherished every moment at home with his high school sweetheart, now wife, and their 3-month-old daughter. Glick was a talented athlete with a black belt and title of U.S. National Collegiate Judo Champion. He earned a degree from the University of Rochester that led to a management position with a California-based web research company. 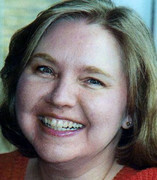 Kristin Osterholm White Gould was a published author and a freelance journalist for more than 30 years, primarily writing about medicine and science. A graduate of Cornell University, Gould was an intellectual with an interest in literature and drama. She traveled the world and was fluent in several languages, including Latin and ancient Greek. Gould boarded Flight 93 to visit friends in California. She was survived by her daughter. On Sept. 11, Lauren Catuzzi Grandcolas was flying home from her grandmother’s funeral in New Jersey. Raised in Houston, the University of Texas graduate had 15 years of marketing and sales experience and recently left her work as a consultant at Good Housekeeping magazine to write a book intended to inspire women to follow their dreams. She and her husband were expecting their first child. Wanda Anita Green was a United Airlines flight attendant for 29 years, fulfilling her dream of seeing the world. According to her mother, Wanda was one of United’s first African-American flight attendants. Green was a dedicated mother of two, a church deacon and active in her community. She held a degree from Rockland Community College, earned a real estate license and hoped to open her own real estate office when she retired from flying. Occupation: Executive vice president and CFO, Safe Flight Instrument Corp.
Donald Freeman Greene was headed to Lake Tahoe to join his brothers on a hiking and biking trip. An experienced pilot who was licensed at age 14, Greene worked with his adoptive father in a company that manufactured safety products for aircraft. 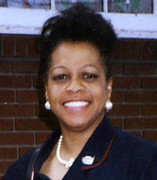 Greene held an engineering degree from Brown University and a MBA from Pace University. He loved flying, sailing and spending time with his wife and two children. Linda Gronlund was an attorney, an engineer and a skilled automobile mechanic with a passion for sports car racing. 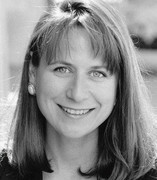 She did her undergraduate work at Southampton College of Long Island University and received her law degree from American University in Washington. On Sept. 11, Gronlund was traveling with her boyfriend, Joseph DeLuca, to celebrate her 47th birthday in wine country. She was survived by her parents and a sister. 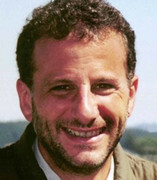 Richard J. Guadagno dedicated his life to protecting wildlife and the environment. A biology degree from Rutgers University prepared him for a 17-year career with the U.S. Fish and Wildlife Service. He was a federally trained law enforcement officer. Guadagno’s final assignment was at Humboldt Bay National Wildlife Refuge in Northern California. Guadagno was returning home from visiting his parents, sister and extended family and the celebration of his grandmother’s 100th birthday. First Officer LeRoy Homer grew up on Long Island, N.Y., with a love of planes, earning his private pilot’s license at age 16. After graduating from the Air Force Academy in 1987, Homer served in Operations Desert Shield and Desert Storm and later flew humanitarian missions to Somalia. 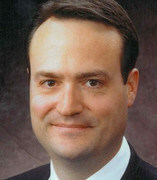 His career with United Airlines began in 1995. Homer was survived by his wife and a daughter born in 2000. 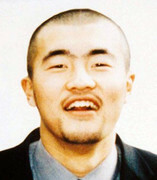 Toshiya Kuge was determined to become proficient in English and earn a master’s degree in engineering from an American university. On his two-week vacation and second trip to America, the independent and outgoing college student went whitewater rafting in Canada and visited Niagara Falls and the Statue of Liberty. Flight 93 was the first leg of Kuge’s journey home. He was survived by his parents and a brother. After six years as a police officer and detective in Fort Pierce, CeeCee Ross Lyles embarked on a new career as a flight attendant, completing her training in January 2001. The busy mother of two sons and two stepsons enjoyed the travel opportunities of her new job and relished the time at home between flights. Her husband says Lyles was a tough, smart and caring woman with a strong faith. The oldest passenger on Flight 93, Hilda Marcin was traveling to spend the winter with her daughter in California. Marcin grew up in Irvington, N.J., married and had two daughters. She worked for 20 years as a fund manager for a union and then began a new career as an instructional aide for special needs children. The retired, energetic grandmother, widowed in 1979, loved to cook and is remembered as strong and independent. After graduating from the University of Puerto Rico, Waleska Martinez moved to New Jersey to advance her career. Colleagues at the U.S. Census Bureau where she worked for 13 years, remember her as organized, innovative, and always smiling. 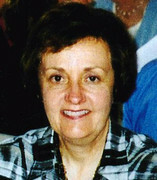 On September 11 she was traveling to a conference with co-worker Marion Britton. 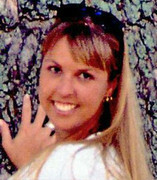 Martinez played tennis and softball, and enjoyed concerts and dancing. She was survived by her parents and siblings. Occupation: Student, West Valley College, Saratoga, Calif.
Family members of Nicole Carol Miller remember her boundless energy. A dean’s list student, she held a part-time waitress job, taught fitness classes, and worked out daily. Though college classes had resumed, Miller made a last-minute decision to fly to the east coast with a friend. The couple toured Manhattan landmarks and New Jersey beaches before boarding separate flights to return home on September 11. She was survived by her parents, stepparents, and siblings. Travel was not a routine part of the job for Louis J. Nacke II. The one day, last-minute business trip on September 11 took him away from his new wife and their home under construction in New Hope, Pennsylvania. Nacke, known as “Joey” to his family, was a weightlifter with a Superman tattoo who enjoyed fast cars, good wine, and loved his teenage sons from a previous marriage. 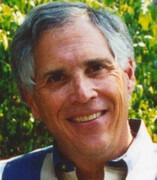 On September 11, Donald Arthur Peterson was traveling with his wife, Jean, to Yosemite National Park. 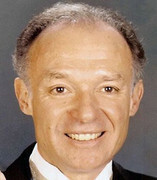 Peterson, a New Jersey native with an electrical engineering degree from Massachusetts Institute of Technology and a MBA from Rutgers University, retired as the President of Continental Electric Company in New Jersey. Volunteerism, driven by his deep faith, filled Peterson’s retirement years. When he married Jean in 1984, each had three children from a previous marriage. On Sept. 11, Jean Hoadley Peterson was traveling with her husband, Don, to Yosemite National Park. With a nursing degree from the University of Rochester and a Master’s Degree from Columbia University, Jean was well-suited for her retirement volunteer work as a crisis pregnancy counselor. Peterson was motivated by her faith. When she married Don in 1984, each had three children from a previous marriage. 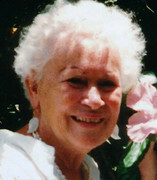 Jean welcomed her first grandchild in 2001. 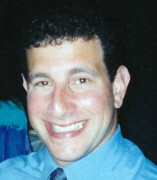 Mark David Rothenberg was an intense, successful businessman accustomed to frequent flights to Asia for his importing business. Mark, or “Mickey,” as he was known to friends and family, graduated from Franklin and Marshall College, then worked for many years in the family glassware business, becoming the top salesman and eventual owner. Though he worked long hours and traveled extensively, Rothenberg was devoted to his wife and two daughters. Hawaii native Christine Ann Snyder was passionate about her work with The Outdoor Circle, Hawaii’s oldest nonprofit environmental group. As an arborist, Snyder worked to protect trees and landscapes from development. On Sept. 11, the University of Hawaii graduate was returning from a forestry conference in Washington and an impromptu first visit to New York. Snyder was anxious to return to Hawaii and her husband of just three months. 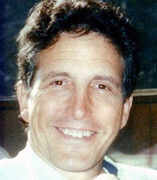 John Talignani, a family man dedicated to his late wife and her three sons, was born in Italy and grew up in Brooklyn. The World War II veteran owned a taxi, a pizzeria and retired as a Manhattan bartender after 20 years. Talignani enjoyed time with family and was a devoted New York Mets fan. Tragically, Talignani was traveling to California because his stepson had just died there in an automobile accident. Just home from Europe, Honor Elizabeth Wainio was traveling on business on Sept. 11. Wainio, a graduate of Towson University, was not only bright and enthusiastic but driven, leading to advancement with Discovery Channel stores. 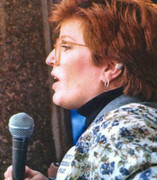 “Lizz”, as her friends knew her, recently relocated to New Jersey for her career but remained connected with her family and friends in her beloved Baltimore. Wainio was survived by parents, stepparents, a brother and a sister. 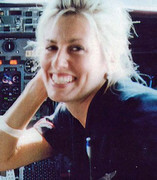 As the purser on Flight 93, Deborah Jacobs Welsh was assigned to first class. With more than 25 years of experience with three airlines, she was well-qualified for the role. 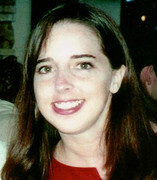 Welsh grew up in Philadelphia, loved to travel and embraced the cultures of the exotic places she visited. 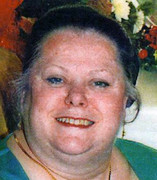 She was compassionate and caring, often delivering leftover airline meals to homeless people in the Manhattan neighborhood where she and her husband lived. She wrote a rap song for she and her fellow flight attendants to perform upon graduation.